MASNO’s vision is to be a primary source in establishing New Orleans as a vital and vibrant center for the musical arts recognized regionally, nationally, and internationally. Originally founded as the New Orleans Institute for the Performing Arts (NOIPA) in 1980 by Melvin Alford and Julianne Nice, the organization aimed to provide students and teachers in the performing arts with master classes and workshops, as well as to expose them to performances by artists in the mainstream of professional activity. Since its beginning, MASNO has provided both artists and students an opportunity to perform for appreciative audiences and has assisted students in developing skills necessary to build artistic discipline within a comfortable and supportive environment. MASNO has continued to present performances by emerging as well as established artists and to encourage the community to embrace the arts, particularly classical music. In addition to individual events during the year, a weeklong festival featuring master classes, lectures, and performances has been presented annually since 1981. In 1989, Madelyn Trible and Raymond Gitz founded the New Orleans International Piano Competition (NOIPC) as an augmentation to the summer keyboard festival. Since that first year, the competition has continued to expand in scope, attracting competitors and audiences from around the globe, and is currently regarded as one of the finest showcases of pianistic talent. In the fall of 1994, Melvin Alford stepped down as NOIPA’s Executive/Artistic Director, a position he had held since the organization’s inception in 1980. The NOIPA Board asked Daniel Weilbaecher to replace Melvin in this position. At that time, NOIPA was renamed the Musical Arts Society of New Orleans. After 20 years as both Executive and Artistic Director of MASNO, Daniel resigned his position as Executive Director while continuing to serve as MASNO’s Artistic Director. In the fall of 2014, Cara McCool was named MASNO’s Executive Director. Part of Cara's vision was to expand MASNO's presence in the New Orleans musical community extending beyond the summer centered events. To this end, MASNO is proud to present a full season of concerts and events for 2016-2017 and looks forward to an ever-growing schedule of wonderful musical opportunities for New Orleans and the surrounding area. In 1999, the New Orleans Piano Institute (NOPI) was begun as the educational component of MASNO’s summer event. NOPI invites talented local, national and international college and high school students to New Orleans for a week of intensive study and performances including individual lessons and master classes with the distinguished NOPI faculty, competition opportunities, and a solo appearance on the Showcase Recital. All of this is within the inspirational context of the biennial New Orleans International Piano Competition and the annual Keyboard Festival. Shearon Horton and Raymond Gitz were NOPI’s first directors. In 2010, Joni Jensen replaced Raymond as NOPI Local Director. Upon Shearon’s retirement as NOPI Director in 2013, Alan Chow and Igor Resnianski accepted the Co-Director positions. This annual event’s format has been enhanced on the years that the NOIPC does not take place to include a solo competition for the institute students. In addition, every year the Steinway Society of New Orleans in collaboration with the New Orleans Piano Institute presents the NOPI Concerto Competition of which the winner receives a cash prize as well as the opportunity to perform with the New Orleans Civic Symphony. In the spring of 2004, MASNO presented its first Concerto Showcase. This exciting event features the return of the three finalists of the preceding summer’s competition to the stage of Roussel Hall to perform three concertos with the Louisiana Philharmonic Orchestra. Since only solo repertoire is heard during the competition, Concerto Showcase was envisioned as an extension of the previous summer’s NOIPC allowing our top three prizewinners to be heard in concert with the LPO. From the strategic viewpoint provided by the celebration of MASNO’s twentieth annual competition, a new path was established for the evolution of MASNO’s premiere offering. 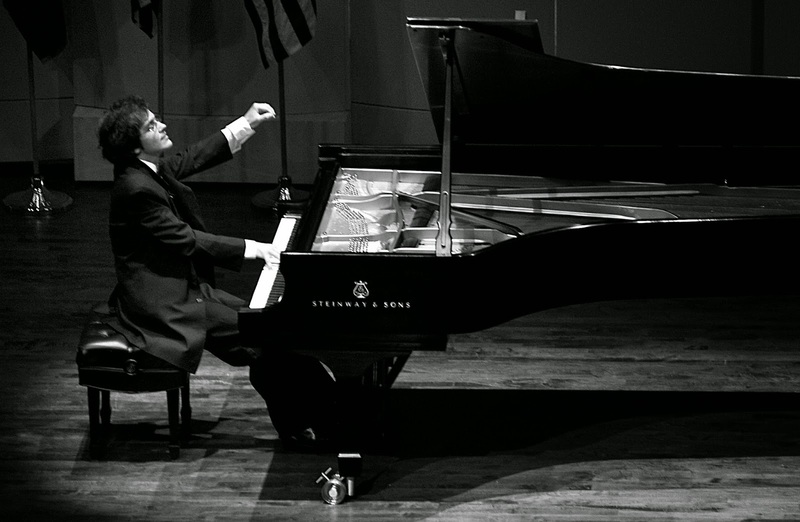 In 2009, NOIPC, which had always been open to pianists without age restriction, began a biennial alternation with the New Orleans international Piano Competition for Young Artists, open to pianists between 14 and 18 years of age. In 2012, the MASNO Board of Directors decided to end the international competition for young artists and to present NOIPC ever other year. In 2014, NOIPC celebrated its 25th anniversary with an exceptional competition, and we look forward to the 26th NOIPC which will take place July 24-31, 2016. As MASNO celebrates its 36th anniversary in 2016, it proudly continues its efforts to: make New Orleans a vital and vibrant center for the musical arts; providing opportunities to hear some of the world's best musical talents; developing enthusiastic audiences; nurturing the development of talent; and championing music education through innovative programming and signature events such as the New Orleans International Piano Competition, the New Orleans Piano Institute and Keyboard Festival, Concerto Showcase in collaboration with the Louisiana Philharmonic Orchestra, Nocturne, Salon Concerts, and MASNO Artist Masterclasses and Lecture Performances at area schools.